It is no surprise, then, that researchers at Sarcos Robotics have created Guardian GT, a set of seven-foot robotic arms that can each lift 230 kg (500 lbs), giving whoever uses them superhuman strength. And to ensure you can really experience this superhuman ability, the arms allow you to actually feel what’s going on. These robotic arms can reported lift half a ton, but in operating the machine, the user feels only two kilogram (five pounds) of force, according to Wired. The dimensions of these arms are designed to be parallel to those of an adult human, so users should find them natural-feeling and easy to operate. Sarcos Robotics intends these arms to be used for emptying disposal bins, moving metal pipes, and accomplishing other tasks with massively heavy materials. The arms are powered by a diesel motor and are said to be capable of moving at 6 km/h (4 mph) for a 7 hours — enough time to move a lot of heavy objects. From science fiction to developing artificial limbs (such as these robotic arms), augmenting human strength and ability remains at the forefront of many efforts. Boldly referred to as “cyborg eyes,” researchers are developing wireless, prosthetic eyes for those without sight; cyborg bacteria promote the hope of achieving artificial photosynthesis; and companies around the world are considering, and sometimes implimenting, microchipping their employees. 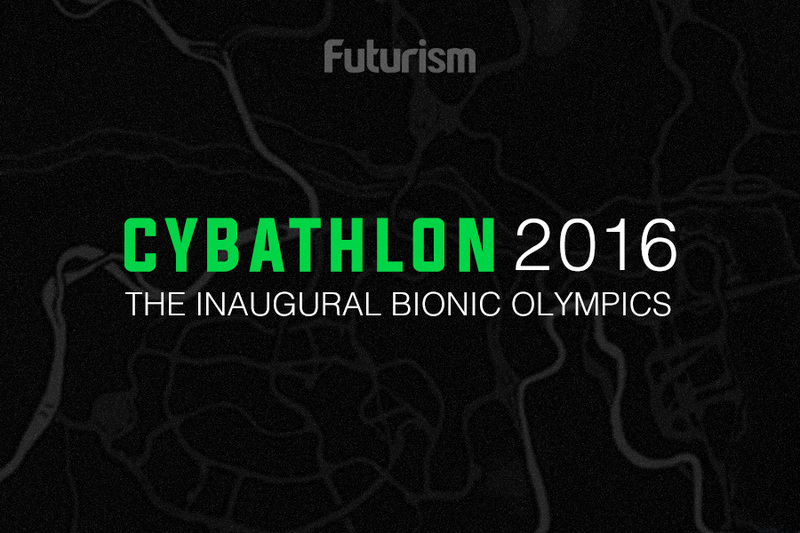 In short — we are well on our way to truly becoming a planet of cyborgs. But this might not be the science fiction nightmare that Star Trek promised with the Borg. The Guardian GT arms are not inherently weapons and are designed specifically to be used with a human counterpart while steering clear of any sci-fi-reminiscent interaction with the brain. And, while it is easy to feel distrust toward technologies with the word “cyborg” attached, merging human with machine isn’t necessarily bad. Prosthetics have provided assistance to those lacking limbs or abilities for quite a long time. But, while antique models had limited or non-existent functionality, modern prosthetics, like Guardian GT, are being designed to give users abilities beyond what is naturally possible. It is yet to be seen whether this means that, in the future, we will all walk around with cyborg attachments giving us superhuman abilities. But one thing is for certain — this innovation will change the way we move heavy objects.